A rich chocolate fudge that tastes like a slice of heaven. 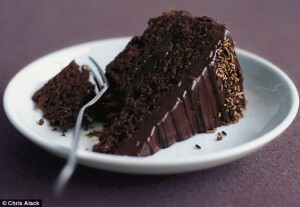 The perfect cake for teatime or for dessert, using Lurpak. 1. Preheat the oven to 180°C. In a large mixing bowl, beat the butter and sugar together until light and creamy. Add the eggs, one at a time, mixing well after each addition. Slowly add the confectioners’ sugar and then stir in the flour, cocoa and nuts. 2. Transfer the batter to a buttered 10-inch baking pan. Bake until the cake is firm. Cool the cake in the pan for at least 1½ hours, then remove from the pan and let it cool completel. 3. To make the glaze: whisk all the ingredients in a small bowl until smooth. Spoon glaze over the cake.